Long before “the green” was green; ahead of the “the quad’s” signature north-campus crisscross; and decades before Ole, Viking Days, Vespers and even the Huddle’s early-morning coffee, Augustana University got its start in Hillsboro, Illinois — 650 miles east of Sioux Falls — as a place called Hillsboro Academy in 1835. Nicknamed by historians as “the college on wheels,” Augustana wasn’t done moving yet. By 1860, the still-young U.S. was on the brink of political and social catastrophe. Immigration was at an all-time high. In the South, plantation-owned slaves were harvesting 2 billion pounds of cotton each year. At the same time, opposition and public outrage over slavery seethed through towns and villages in the North. In November of that same year, Abraham Lincoln was elected president and a month later, South Carolina officially seceded from the union. The first shots of the Civil War soon followed. In the Midwest, the railroad, industry and farming opportunities drew Norwegian and Swedish immigrants by the thousands — all of whom were looking for a place to settle; somewhere to call home. For Augustana’s founders, it was time to make a move. 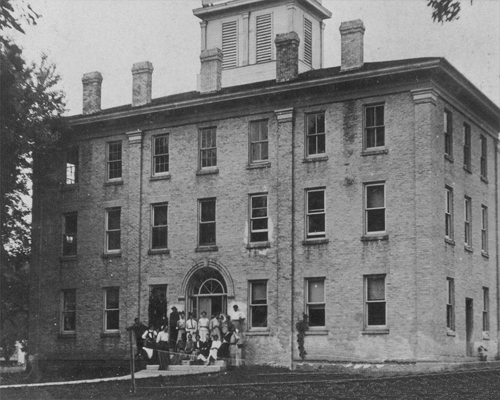 Augustana Seminary held its first class on Sept. 1, 1860 — a founding date shared with Augustana’s sister-college, Augustana College in Rock Island, Illinois. Today, the two schools are among the oldest of the 40 colleges and universities affiliated with the Lutheran Church. By 1863, Rev. Tuve Hasselquist, president of the Augustana Synod, lobbied for another move. 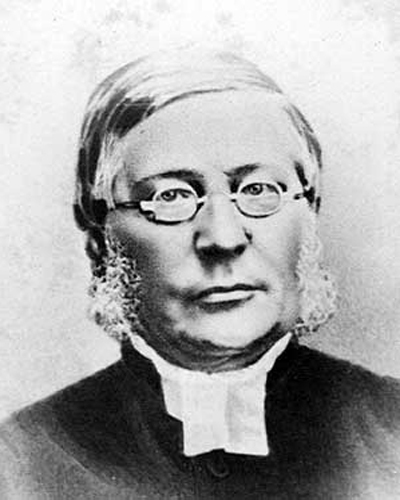 Hasselquist believed that moving the Seminary to a rural area populated primarily by Scandinavians would be in the best interest of the growing school. Plus, the Illinois Central Railroad promised land if the school relocated. After a vote, the Seminary (photo on right) moved from Chicago 100 miles southwest, to Paxton, Illinois, and Hasselquist became the school’s second president. Craving their own identity, the Seminary’s Norwegian leaders made the decision to separate from the Swedes. 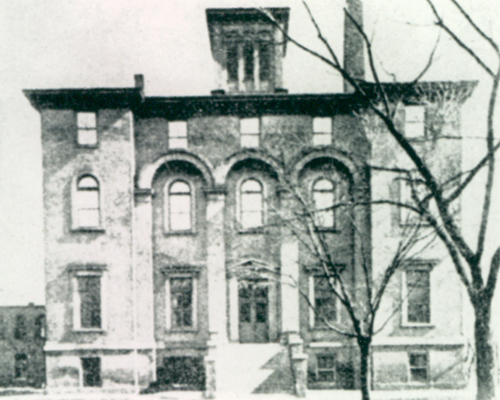 They purchased a building in Marshall, Wisconsin, and in 1869 formed the Augsburg Seminary and Marshall Academy (photo on left). Wisconsin farmer and Norwegian immigrant Endre Endresen Eidsvaag gave a bell to the school. A year later, in 1870, the Norwegian Augustana Synod was founded. In 1875, Augustana Seminary moved from Paxton to Rock Island, where it has remained since. By the late 1870s, the nation’s western frontier was bulging. 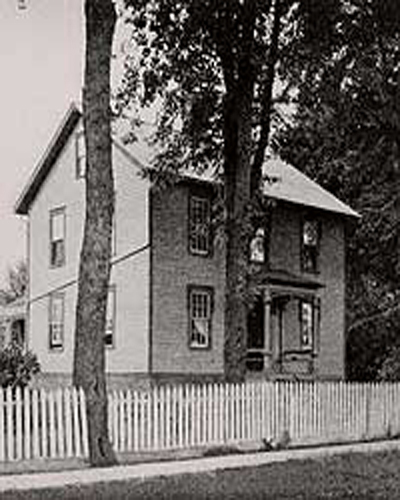 In 1881, leaders of the Norwegian Augustana Synod made the decision to “follow the people” and settled in Beloit, Iowa. While in Beloit, the school reclaimed the name, Augustana Seminary and Academy. 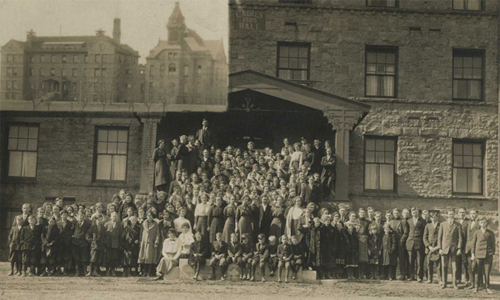 In 1884 with the institution needing more room, a group of Canton, South Dakota, citizens across the Big Sioux River pooled their money and bought the Naylor Hotel and offered the building to the Augustana Synod — with the condition that the school move from Beloit to Canton. The Academy remained in Beloit and the name of the school was changed to Augustana College. By 1903, the College moved into a permanent home, its first in 43 years, on the east side of Canton along with the Eidsvaag Bell. Twenty-five miles to the north in Sioux Falls, the Lutheran Normal School opened its doors in 1889. 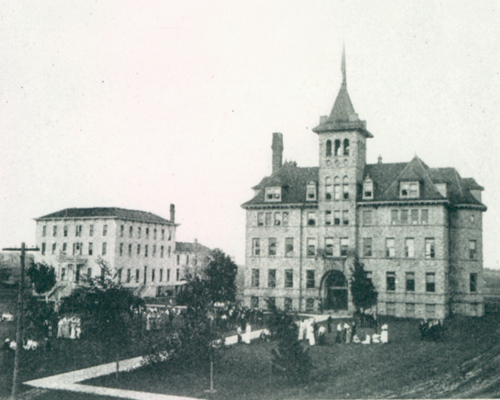 Housed in what is now known as Old Main, the Lutheran Normal School’s mission was to prepare teachers. stana President Rob Oliver and Augustana-Rock Island President Steve Bahls commemorated the 150th anniversary of the formation of the Scandinavian Evangelical Lutheran Augustana Synod during a ceremony at Jefferson Prairie Lutheran Church in Poplar Grove, Illinois. Oliver and Bahls gathered at a table used by the original founders during the creation of the Augustana Synod’s first constitution to sign a Sesquicentennial Compact — a document that affirmed each school’s academic mission and desire to remain committed to the mission of Lutheran higher education. On Sept. 1, 2015 — 155 years to the date of the institution's founding, the name was changed to Augustana University to better reflect the broadening of Augustana's academic mission. continued investments in housing, such as a new apartment complex on Summit Avenue, which will be dedicated in the fall of 2017. In 2017, former congresswoman Stephanie Herseth Sandlin became Augustana's 24th president and first female leader. A timeline of notable events in Augustana history.